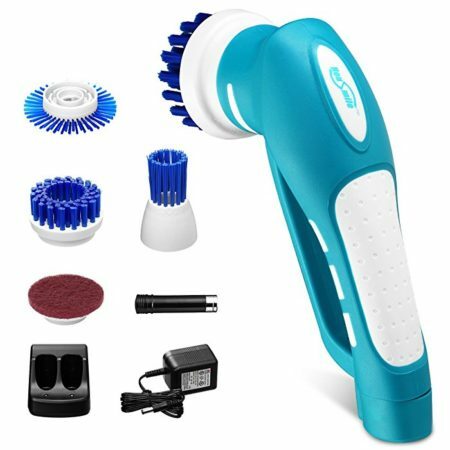 The package includes one pair of barbecue gloves, two barbecue brushes and two bear paw shredders. 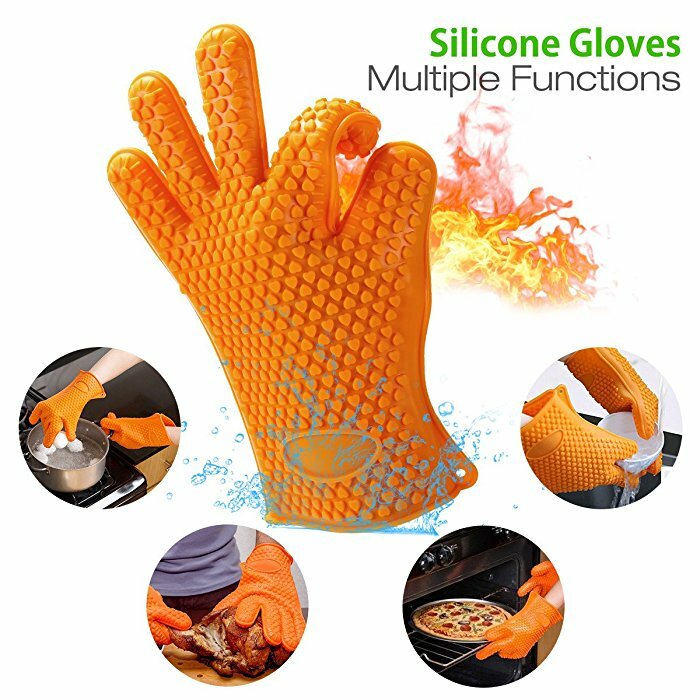 Silicone Gloves: The cooking gloves can resist high temperature, up to 500 degrees F. They have an anti-slip design for carrying meat or other food easily. 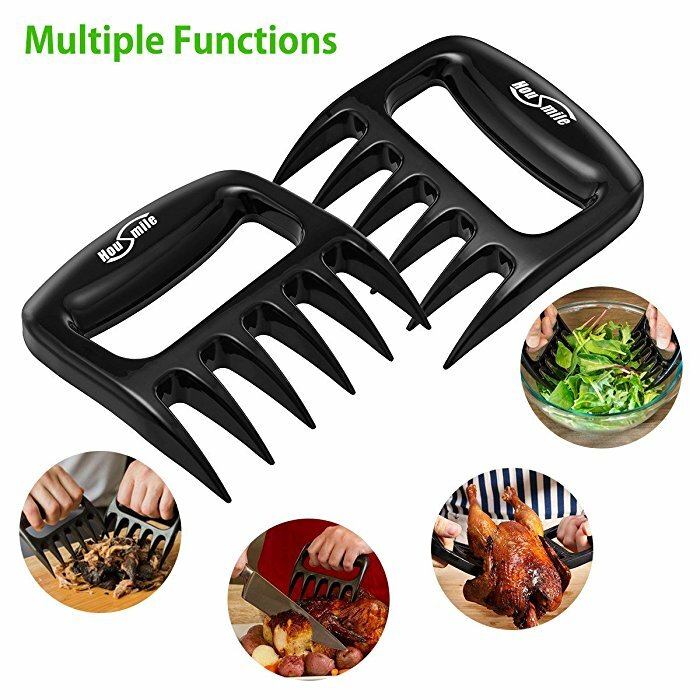 Meat Shredders: These bear paw shredders help you cut or grab meat more easily. 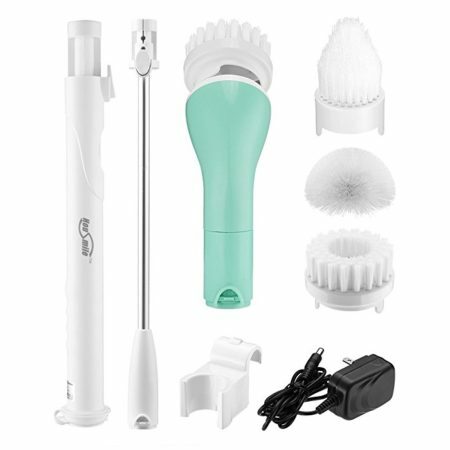 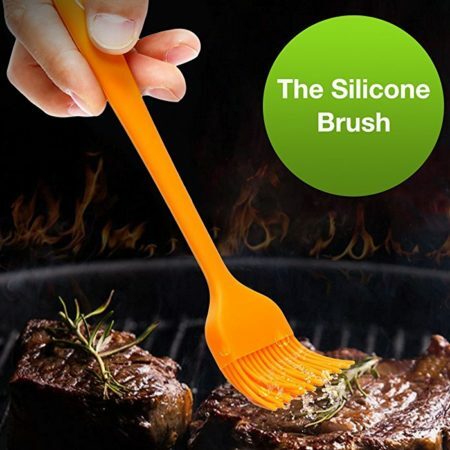 Barbecue Brushes: It comes with 2 BBQ brushes that help you season your meat with delicious sauces. 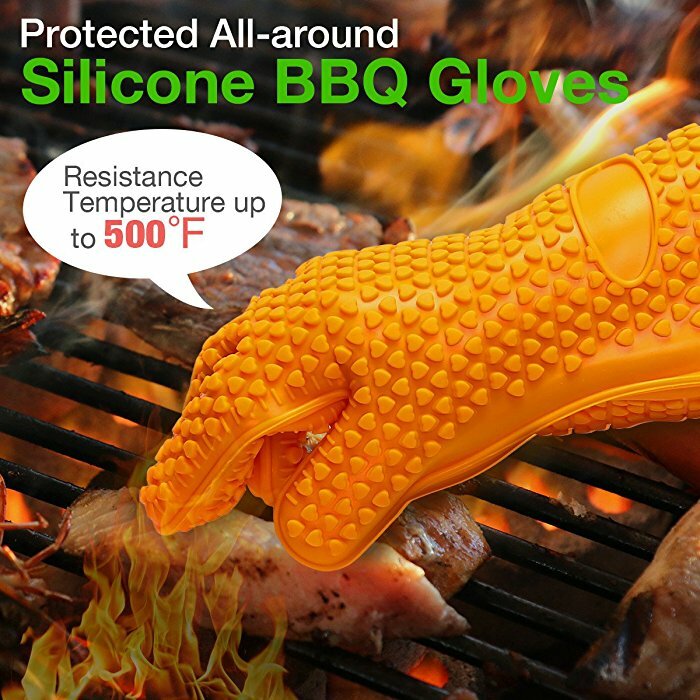 Safe and Healthy Material: The complete BBQ set is made of BPA-free healthy silicone and plastic for great hygiene. 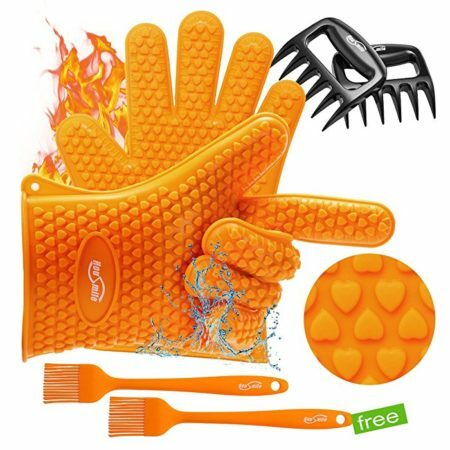 This Housmile Barbecue set includes one pair of barbecue gloves, two barbecue brushes and two bear paw shredders. These barbecue accessories will help you enjoy delicious barbecue meat, vegetables and other food more easily. 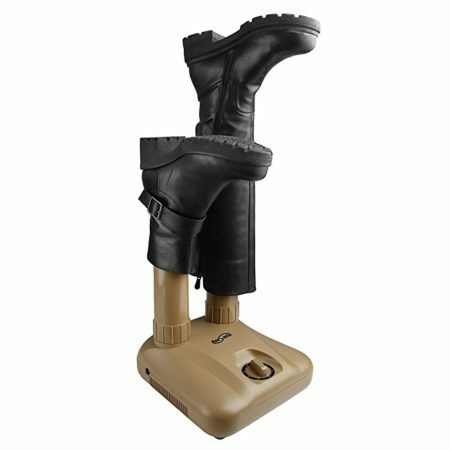 The highly heat-resistant silicone-made glvoes fit most hand sizes because of its flexibility. 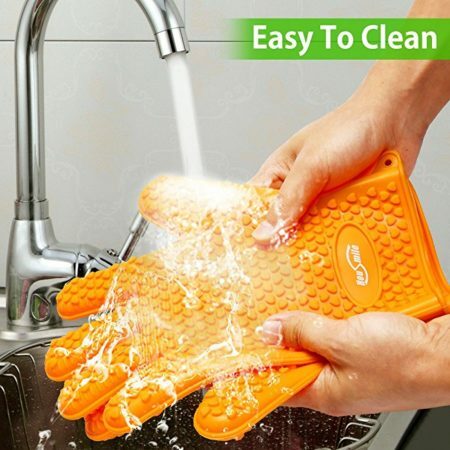 The gloves can stand heat up to 500 degrees F. The meat shredders are nicely designed to be a bear paw shape for easy shredding and carrying in hand.